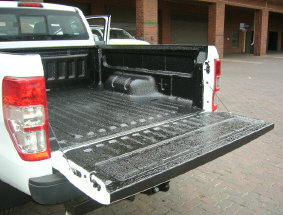 Have you thought about how to minimise the amount of dust getting into your bakkie? 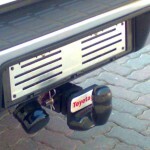 Our Dust Seal Kit will ensure your tailgate is sealed which will prevent dust from entering the bin. 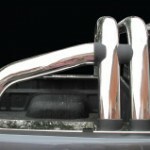 Volkswagen Transporter Nudge Bars are available for Models 2012 onwards, in stainless steel and powder coated black. Our Nudge Bar is compatible on all three models which share the same front end. The Nudge Bar is however not compatible with models that have PDC Sensors fitted by factory on the front. 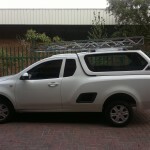 Telkom Roof and Ladder Racks Visit www.midrandcanopies.co.za for more accessories and great products. 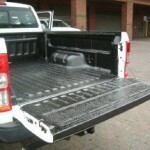 Ford Ranger Raptor Grills Ford Ranger Raptor Grills are available for Models 2012 onwards. 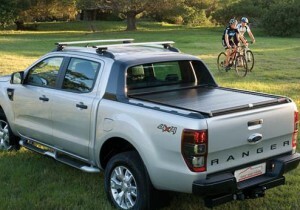 Raptor Grills are also available for the new ranger T6 Facelift. Available in red and grey. Bearing the “Ranger” or “Ford” logo and with or without LED lighting. CANOPY FEATURES: Lockable rear door, Side sliding windows, Gas Lifts (half door canopies only), Two-year warranty on canopy shell, One-year warranty on mechanical items Optional Extras (on selected models only)Third brake light, Interior light, Roof racks, Chevron roof racks (canopy to be reinforced), Colour-coding, Window tinting, Rubberising, Blank sides or complete blank (special order) Visit our main page www.midrandcanopies.co.za for more information. 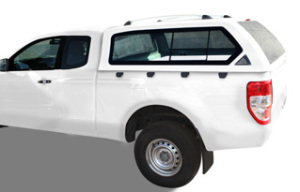 CANOPY FEATURES:Lockable rear door, Side sliding windows, Gas Lifts (half door canopies only), Two-year warranty on canopy shell, One-year warranty on mechanical items, Optional Extras (on selected models only), Third brake light, Interior light, Cab sliding window, Roof racks, Chevron roof racks (canopy to be reinforced), Colour-coding, Window tinting, Rubberising, Blank sides or complete blank (special order) Visit our main page www.midrandcanopies.co.za for more information. Check out our Gallery below. 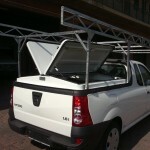 Visit our main page www.midrandcanopies.co.za for more great accessories. 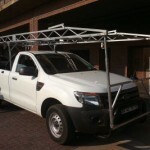 Midrand Canopy Centre supplies Rod Holders for any Galvanized Steel Rack. Rod holders make it convenient and easy to access rods and pipes. Its easy to install and looks neat. Rollers make it easy for you to access your ladders on top of your rack. Load and access your ladders with ease. Ratchets and straps allow you to tie down ladders and poles. Click here to access more on racks. Telestruts provides additional support for heavy loads and prevents the Canopy cracking and getting damaged. Cattle rails are available for all single and double cabs and is available is in powder coated as well as galvanized Steel. 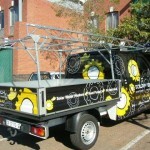 Visit www.midrandcanopies.co.za for more great accessories. 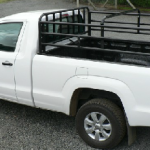 Trucks Racks are durable strong and sturdy. 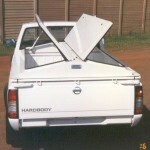 Midrand Canopies supplies and Fits Racks to most Medium Sized trucks. FEATURES: Lockable Rear Door-Side Sliding Windows-Gabriel Gas Lifts Optional extras – Colour Coding | Rubbersing We supply canopies for any type of vehicle. We repair damaged canopies and supply accessories and spares Visit our main page www.midrandcanopies.co.za for more information. Kia/Hyundai H100 Canopies Feautures :Lockable Rear Door-Side Sliding Windows-Gabriel Gas Lifts Optional extras – Colour Coding | Rubbersing We supply canopies for any type of vehicle. We repair canopies and supply accessories, parts and spares Click here to access the main page of the website for more great accessories.